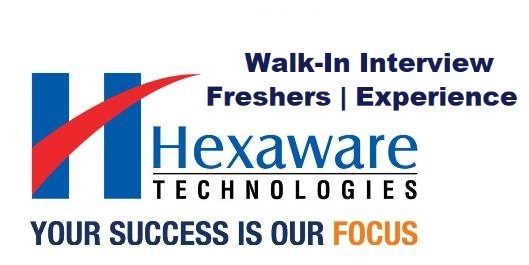 Hexaware is the fastest-growing CMM Level 5 global IT Services and consulting company headquartered in India. The company has more than 15k employees working for 226 clients in 33 countries. 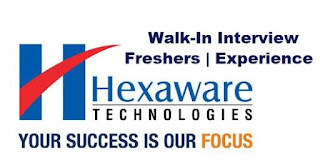 Hexaware has the revenue USD $607.5 million. Hexaware's core businesses include development support, integration, implementation and testing services on all major enterprise software systems such as PeopleSoft, workday, SAP Oracle and Microsoft. Experience with various technologies like Java/J2EE, Struts/SpringMVC, Spring Core, Spring AOP, Spring Data, Hibernate, Struts, and Web-services. Experience on working with REST Webservices. Candidates should have good experience with unit testing. Candidates worked in Agile scrum development methodology is an added advantage. Applying candidates should have good communication skills.